What am I doing with my life? (The importance of glass cherries). 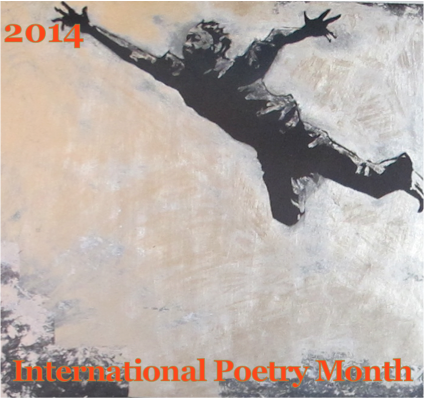 The poet, Eugino Montale says, “The ancients always said that poetry / is a stairway to God”. Montale doesn’t specify if that stairway is for the reader or for the poet…he only maintains his sense of self-irony, “perhaps not if you read mine.” The thing that I take from the poem is that Montale has found (or rediscovered) that stairway through an act of intense observation, of which the writing is only a record. Everyone has to find their own ‘why’ in their own way for how they’ve chosen to spend their life. I wonder if it isn’t even more difficult for people who have chosen to spend their lives working a 9-5 office job? I spent a lot of time trying to answer that question myself and here are the best of the many ideas I came up with. I think that in the contemporary world acts of intense observation and consideration are few. Our world is scanned and channel surfed, flickered but not ‘seen’ in any real sense. My idea of what the artist’s job is, is to catch people’s eye for long enough that they see below the surface flood of sound and colour and scent. Even if it is only 30 seconds instead of 15 to say to themselves, “look at how intense that red is!” at least they’ve finally seen red for a half a minute instead of it not registering at all…and I, if I’m the artist, have had the pleasure of figuring out something about red in the process. Maybe this is a stupidly simple idea of things on my part and of course has nothing to do with the practical aspects of making a life as an artist. Perhaps also hopelessly broad as it implies that anything done with attention is art (although I have to admit that I find that idea very attractive). It reminds me of the time I visited Hawaii (Kauai); there were two kinds of flower necklaces…the ones made of orchids that smelled of nothing but looked beautiful for days and the ones made of fragipani which were fabulously fragrant but brown and falling apart by the end of the day though they still smelled like heaven…two completely different ways that I experienced what flowers are, that made me ask myself questions about the nature of permanence/impermanence and beauty. What fun to ask these questions and without worrying about how many different answers there might be. “The force that through the green fuse drives the flower / Drives my green age;” (- Dylan Thomas). The world creates and destroys in profusion and some people find a need to transform that frantic transience through observation. Our perceived world won’t hold still so artist’s give us talismans, little (or big) anchors to hold on to…others use these moments/observations a way back to or out of themselves, or to god, as they choose. Aristotle says, “All Art is concerned with coming into being.” though I have not read enough Aristotle to say if that coming into being is the art or the artist or why either should be important…but it sure sounds nice. What informs our vision of past cultures of the history of the human race? Art, architecture, literature, historic chronicles, music, clothes, jewelry…all acts of observation in some sense, interior or exterior, profound or frivolous. My own experience of art is that it is more of a bridge than a stairway, and the bridge is one that is in time: from the past to me the work of other artists known and unknown speaks to me through architecture, through poetry, and yes, even through a brooch made of glass cherries…someone sat and drew, designed, that brooch in austria in the 30’s?…maybe that person is even still around? but this little piece of them has made its way into my life…it holds my shirt closed, it makes my daughter smile, it tells me something about a time when ‘beautiful’ meant something different from what i see now. Not better or more beautiful, just different. It makes me smile, it makes me think. ~ by bonniemcclellan on July 21, 2008. Bonnie, you are a true artist. You intrigue, stimulate and make others think. We think differently then normal people and we need each other to perpetuate our genius or our insanity, the two are truly inseparable. In regards to the leis, my favorites are the ones with orchids and plumerias mixed:). And don’t get me started on Red! good essay… any essay that quotes aristotle is good. Glass Cherries–bought in Venice. Can this brilliant girl really be my daughter? Glad that you enjoyed reading it, I re-think this idea constantly.